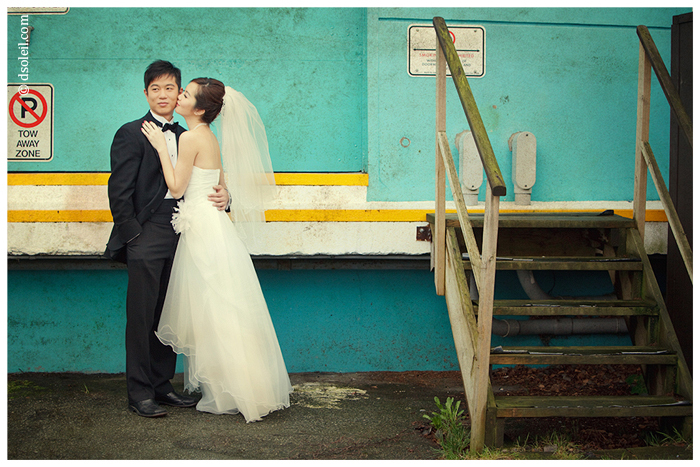 Fiona and Garlap both lived and studied in Vancouver, but now reside and work in Hong Kong. They planned a trip to Vancouver this winter and invited me to do a winter photo session with them around some of Vancouver’s most well know sites. Fiona was dressed to the nines for this photo session. 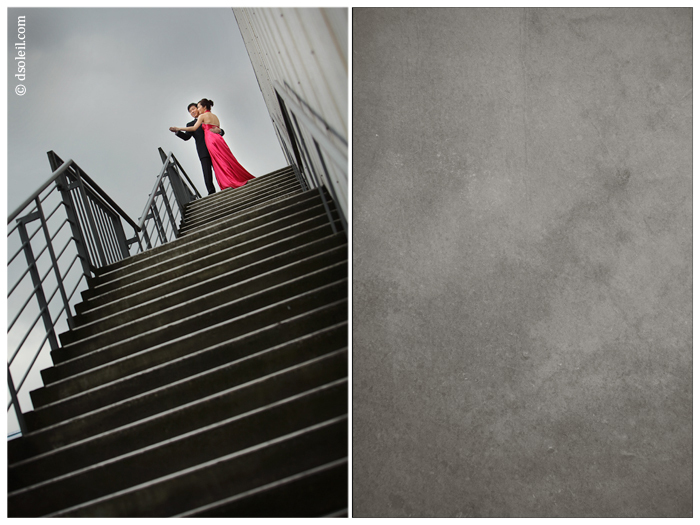 She brought along wedding gown and a beautiful red evening dress that looked amazing in the photos we created, and despite the cold damp and dull weather, they managed to pull off a fun and relaxed portrait session in advance of their wedding in Hong Kong later this year. In this winter session, we wanted to keep the colors vibrant, so we used as many locations with vivid color as possible. Fiona’s red dress helped out a lot too! 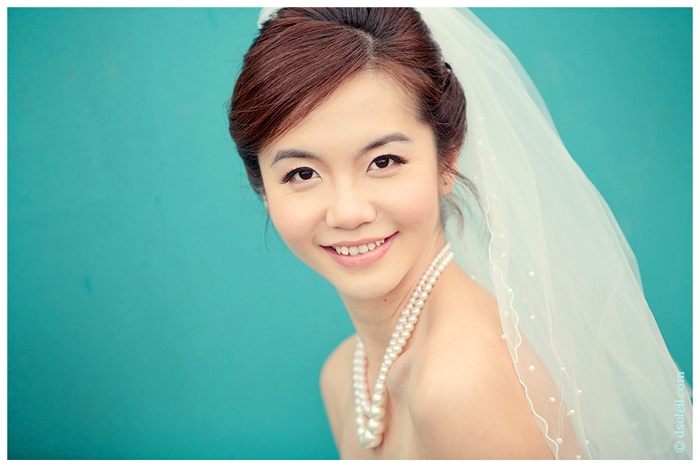 Elie of Elie Makeup provided hair and makeup services and a special thanks to Emma for hanging out with us that day! beautiful portraits, love your use of color and composition… looks like a really fun shoot! I just LOVE those blue/greens as backdrops for these portraits. Beautiful images as always! Such clean and vibrant photography. If this is the pre-wedding I really cannot wait to see the actually wedding photography you have. Wonderful job! Wow. Your images are gorgeous. The posing and lighting is beautiful. Wow! She’s beautiful! Great job! Nice work Daniel, love the contrasting colors. I love the colors in these images! I love the shots and contrast once Fiona get’s into that red dress. Wow! Very, very cool wedding photography indeed! Absolutely beautiful portraits. The colors are so vibrant. I love the final treatment on them. Great work.